Our Care Advisors have been in your shoes. They will move quickly, but will also take the time to truly understand your situation and thoughtfully assess your needs. Call us 7 days a week at 844-532-6669. 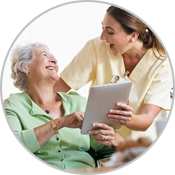 Your Care Advisor will prepare a list of several carefully chosen caregivers based on your specific needs. 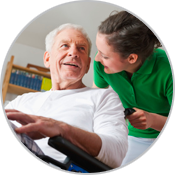 You can then read each caregiver's detailed profile to learn more about them. Each profile contains a personal video, client recommendations, work history, and more. To begin your search, call us now or email us at Care@LeanOnWe.com. Once you identify your favorites, we recommend that you interview each candidate if you can. Interviews can be by phone or in person. You decide who you want to interview and we'll help guide you with the right questions to ask. We can be reached 7 days a week at 844-532-6669. 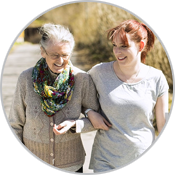 When you find your ideal caregiver (and we're confident that you will! ), we will help you through the process of hiring them. It's totally up to you which caregiver(s) you’d like to hire. You are in control. Find your caregiver today! Email us at Care@LeanOnWe.com.